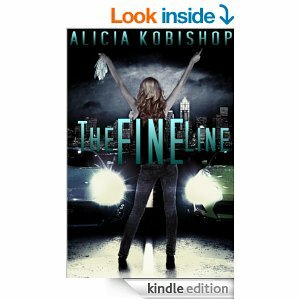 The Fine Line was such a sweet, heartwarming touching book. This was Olivia and Logan’s story. Logan was extremely charming, friendly, confident, supportive, protective, caring, brave and understanding. After his father’s death left him reeling, Logan got into street racing as well as helping with his family’s mechanic shop. Logan was good at street racing and was pd top dollar to race. But with street racing comes all sorts of dangers. Logan met Olivia at a party and sparks flew. Olivia’s childhood had been difficult and left her with the impression that relationship’s don’t last. Logan fell hard. He just had to get Olivia to let go of her reservations. Olivia was sweet, funny and caring but at the same time reserved. Logan’s career choice scared Olivia to death which made her trust issues harder to deal with. They were such a cute couple that truly complemented each other. But they just kept letting insecurities hurt one another. The Fine Line was a wonderful book, that held my attention from page one. This book was filled with love, laughter, and heartbreak as well as danger. I was sad for it to end. I highly recommend this book, it was a great read! I was given an ARC copy of this book in exchange for my honest review, all thoughts and opinions are my own.